NASSAU, Bahamas (AP) — A year ago, Brandt Snedeker made a last-ditch effort to secure a spot in the Masters by flying halfway around the world to play in the Indonesia Masters with hopes of getting into the top 50 by the end of the year. That won’t be a problem this year because Snedeker won the Wyndham Championship. Charles Howell III won’t be consumed about getting back to the Masters because he won the final PGA Tour event of the year at the RSM Classic. That’s 25 straight years — 1,305 consecutive weeks — that he has been among the top 50 in the world. On that day, Mickelson was one spot behind Fuzzy Zoeller and one spot ahead of Craig Stadler. 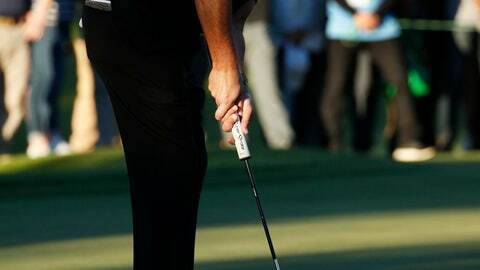 The biggest moment for Mickelson might have been the Phoenix Open this year. He didn’t play the last two months of 2017 and finished the year at No. 37, and then missed the cut in his 2018 debut at the CareerBuilder Challenge and dropped to No. 49. Finau invited him to his foundation event in September — they have the same manager — and one of the exhibitions was a long drive contest between Champ and Finau’s cousin, Ben Tua’one, who finished second in a World Long Drive competition on two occasions. Brooks Koepka is back to No. 1 in the world, and there’s a chance he can stay there for the rest of the year. The top of the world ranking has been so close that Koepka and Rose have traded spots at No. 1 and No. 2 for the last five weeks. The last two times Koepka reached No. 1, he didn’t play. Rose has reached No. 1 on three occasions — by finishing second, winning and not playing. Rose likely needs to finish alone in third or better at the Hero World Challenge this week to return to No. 1. Because neither is playing the rest of the year — and Rose won the Indonesian Open last year — Koepka would stay at the top. It has been 50 years since Jack Nicklaus first appeared at an American Cancer Society benefit at The Breakers in West Palm Beach, Florida, and it produced an unexpected memory: It’s the only time he shot 59. Kevin Chappell is having a micro discectomy procedure on his back and is not sure when he will return. Chappell, who had a chance to win the British Open with two holes remaining, said in an Instagram post that it was the best option to deal with his ailing back. … The U.S. Women’s Open is returning to Lancaster Country Club in Pennsylvania in 2024. In Gee Chun won the U.S. Women’s Open at Lancaster in 2015 when it set attendance records. … Minjee Lee has been awarded the Greg Norman Medal as Australia’s best golfer of the year. Lee, who won the Vic Open and the Volvik Championship and reached No. 6 in the world, beat out Jason Day, who won the Farmers Insurance Open and Wells Fargo Championship. … The PGA of America has a new partnership with Missions Hills Group in Chia to open golf academies in Shenzhen and Hainan Island. Pacific Pines Sports Group in China will manage the properties. Since being picked for the Ryder Cup, Sergio Garcia has finished in the top 10 in five straight tournaments. It’s his longest streak of top 10s since seven in a row at the end of 2008 and start of 2009. “I’m not the smartest guy in the world, but I am very determined.” — Bryson DeChambeau.